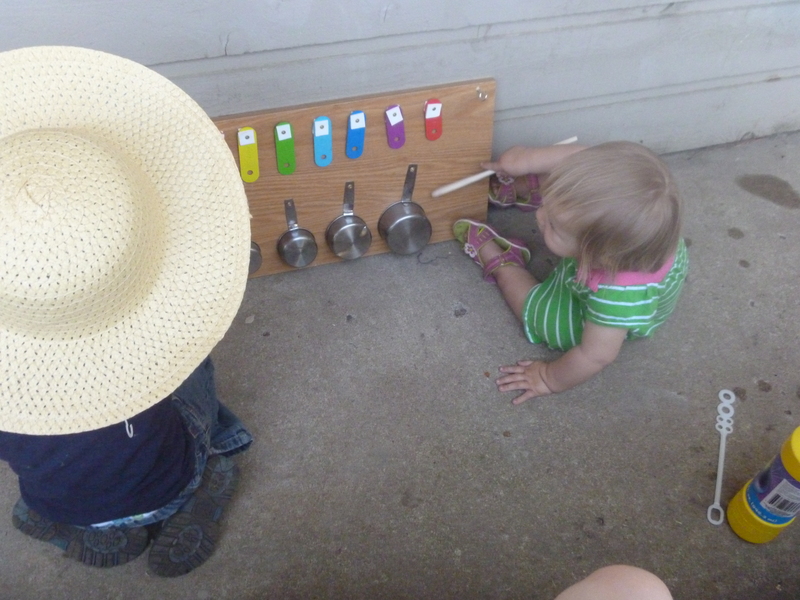 Today was day 2 of Screen Free Week, and in our patio make-over we decided to focus on adding musical and pretend play elements. Inspired by an outdoor music wall we found at Filth Wizardry, we decided to make a smaller, apartment friendly version. 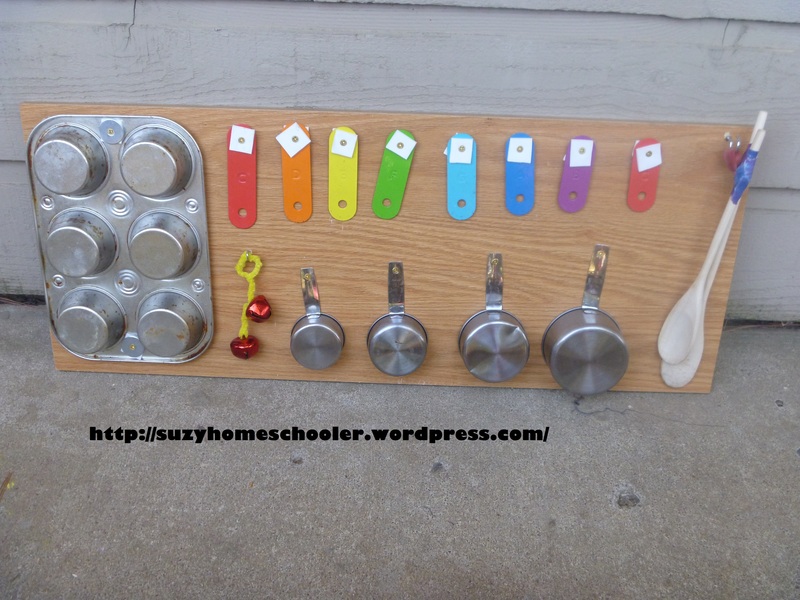 We had an old plastic xylophone which hadn’t been touched by the children in months so we took it apart and utilized it as well as a rusty old muffin tin, some jingle bells left over from Christmas, and a set of metal measuring cups we weren’t fond of. The whole thing is mounted on what used to be part of a book shelf, and a couple wooden spoons serve as drum sticks. Unfortunately my screw heads weren’t very large so this isn’t as durable as it could have been, I may replace the screws at a later date but otherwise I love the end result of this little project! 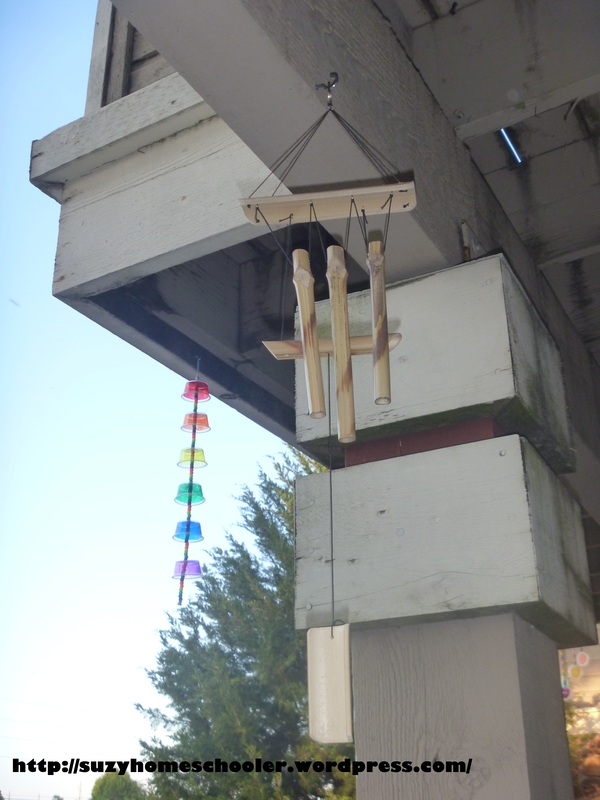 Near by we also hung a set of wind chimes we purchased at Dollar Tree. 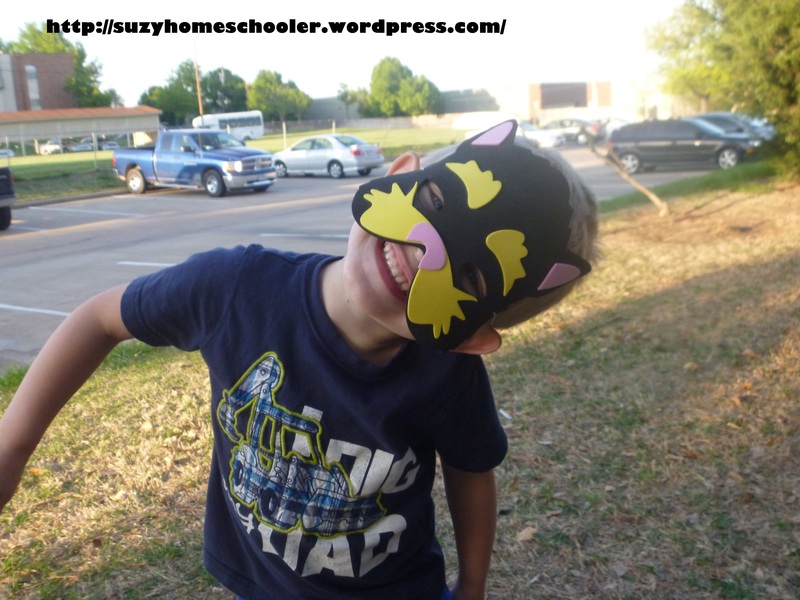 These animal masks made of foam are perfect for outdoor play because the mud just wipes right off them. 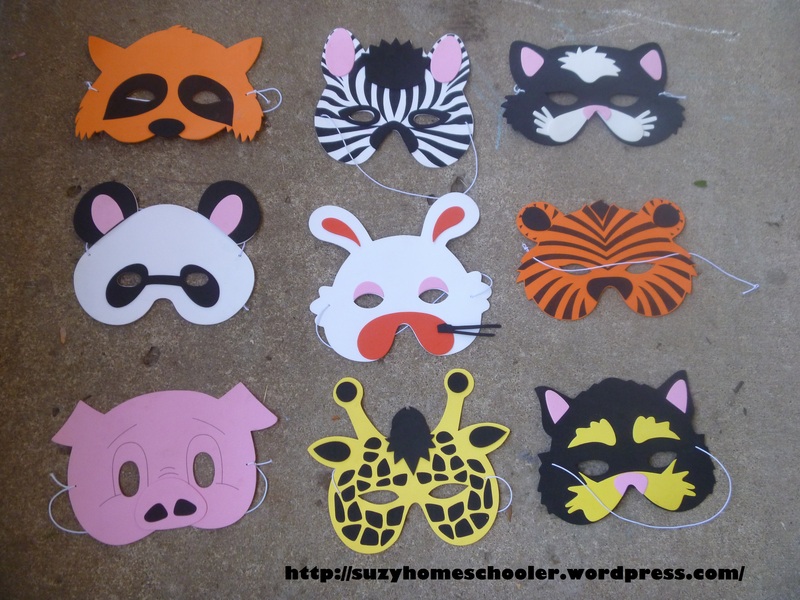 You can find similar masks in party supply stores, or sometimes in the party supply aisle of a super-store such as Walmart or Target. Be sure to check out all 7 days worth of outdoor play ideas in our Pimp My Patio Series!